Home care agency administrators have a variety of different responsibilities, but each have a common goal: to provide quality care to their senior patients. Unfortunately, some agency owners can become so bogged down with administrative duties that checking in on patient care gets pushed to the back burner. Now with the help of an innovative home care system such as ClearCare, administrators can manage their business and be a better advocate for their senior clients. Offer increased visibility to patient point-of-care. Satisfy more clients and their families by offering a reliable way to supervise patient care. ClearCare’s home care system and home care software allows family members to log into a customized “family room” where they can see real-time updates regarding the care of their loved one. Families can verify that the caregiver has arrived at their relative’s home as scheduled, and that important daily tasks have been completed. Troubleshoot problems quickly. ClearCare’s home care software helps you be more proactive when it comes to preventing minor concerns from becoming major problems. The “live-view” interface gives administrators a comprehensive look at where their caregivers are scheduled and whether or not they’ve clocked in to their shift. Alerts are sent within a few minutes of a missed clock in, and administrators can message the caregiver directly through ClearCare’s home care system. Administrators can also edit shifts and clock caregivers in or out manually from this live-view. 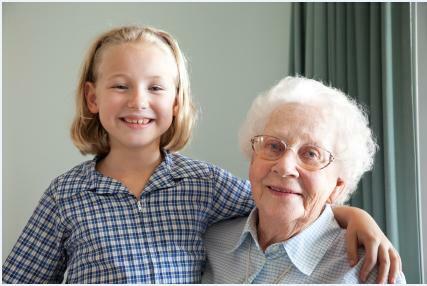 Good communication between caregivers is also a snap with ClearCare’s enhanced messaging system. Mange business processes more effectively. Much of an administrator’s time is taken up by managerial responsibilities. Fortunately, with ClearCare’s home care system and home care software, administrators can use their time more effectively – whether it is managing their caregiver pool or billing clients. ClearCare’s web-based home care software lets administrators handle scheduling, messaging, and accounting in the office or on the go. Taking care of business in a more streamlined manner frees up time to spend advocating for quality patient care.